Bicycle riding is a very enjoyable activity enjoyed by millions of people. But, for years men and women alike have suffered the most unbearable pain caused by inadequate bicycle saddles. 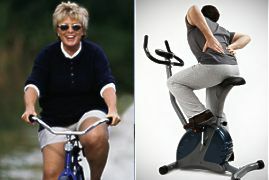 The number one reason so many individuals give up bicycle riding is SEAT PAIN! 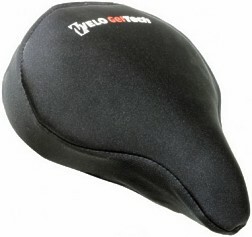 Designed to fit over the average size bicycle seat or spin class bike. Add that extra comfort you need. Fits seats 9" to 11" wide and up to 11" long. 3/4" thick. 3) Locking Drawstring for snug fit and easy removal. 11" wide and 10.5" long.